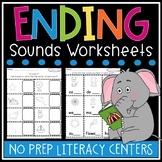 This pack contains a worksheet for each of the short vowel sounds. 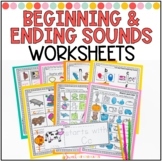 On each worksheet, students must decide what sound goes at the beginning or end of each word. 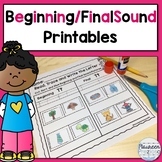 Two Christmas themed worksheet printables. 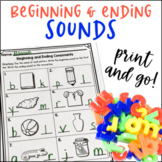 Write in the Beginning or Ending sound using the letters provided. 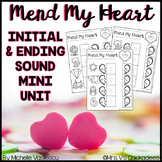 Also included in: Ending Sounds MEGA Bundle: Worksheets, Sorts, Games, Write the Room & More! 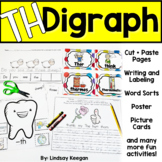 Sorting activities and sheets for the letters B, D, G, K, L, M, N, P, R, S, T to use in whole group, small group, or at a literacy center. 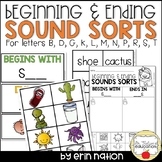 Each letter includes: - sorting cards - 8 sorting picture cards - 8 sorting word cards - a corresponding worksheet See the Preview for a sample worksheet! 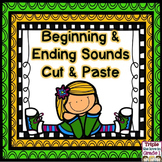 Nine theme related theme worksheets to practice identifying beginning and ending sounds. Use for centers or perfect as homelearning sheets.